everyday lives. The last two chapters address the urgent issues of how migration is changing world cultures and the importance of local cultural values in shaping international development policies and programs. 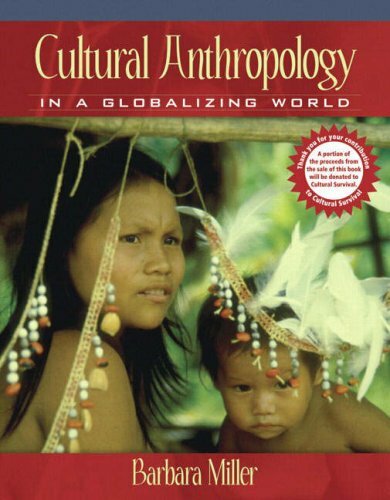 This book, based on Millerrsquo;s full-lengthCultural Anthropologynbsp;text, will generate class discussion, increase faculty-student engagement, and enhance student learning. Through clear writing, a balanced theoretical approach, and engaging examples, Miller stresses the importance of social inequality, cultural change, and applied aspects of anthropology throughout the book. Advocacy Applied Anthropology: Separate Field or Cross-Cutting Focus? Three Theoretical Debates in Cultural Anthropology Critical Thinking: Adolescent Stress: Biologically Determines or Culturally Constructed?